Great looking Custom Liquor Bottle Labels, measure 4.75"x3.75". These labels are self stick, and easily stick to your bottles. Our labels are laser printed and will not run or smear. 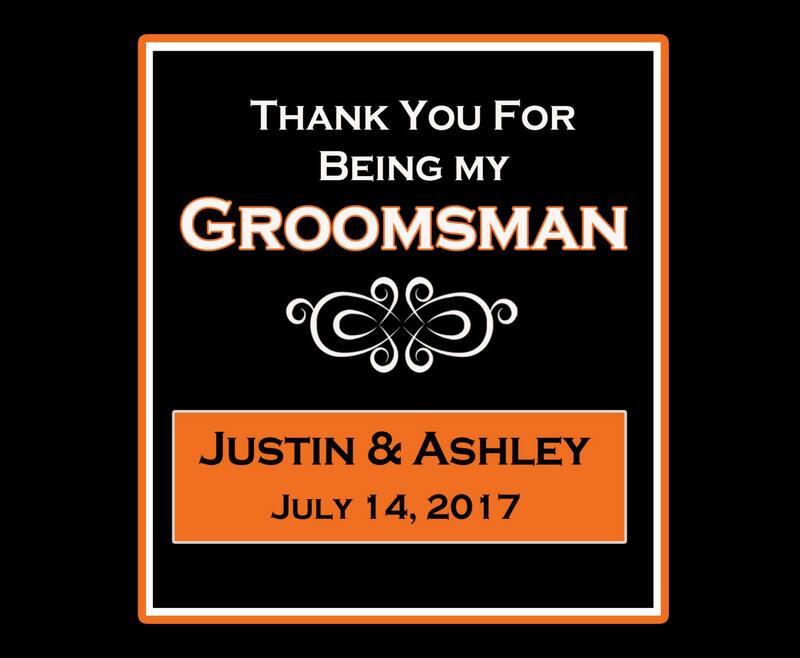 You get one Best Man, and the rest of your labels say Groomsmen. 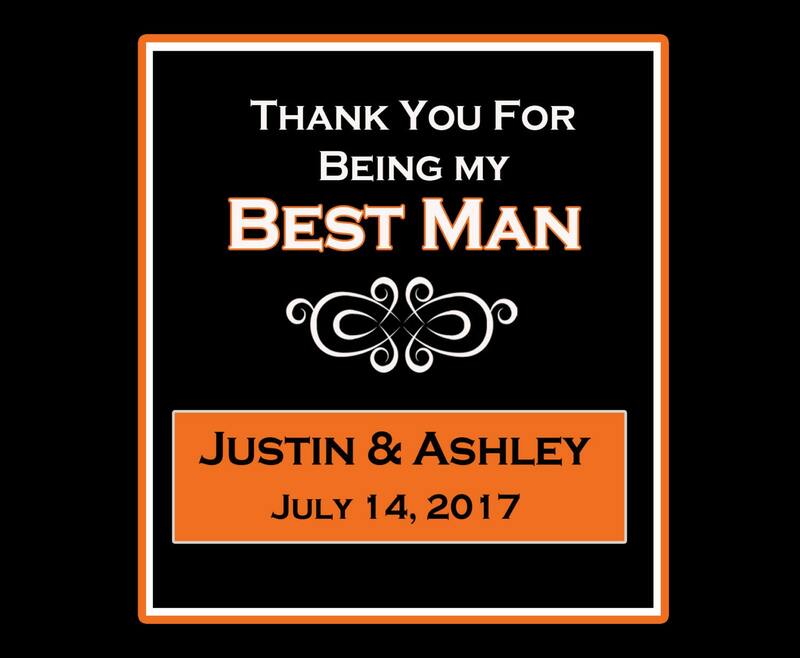 This is a great way for thanking your Groomsmen and best man to be a part of your wedding. 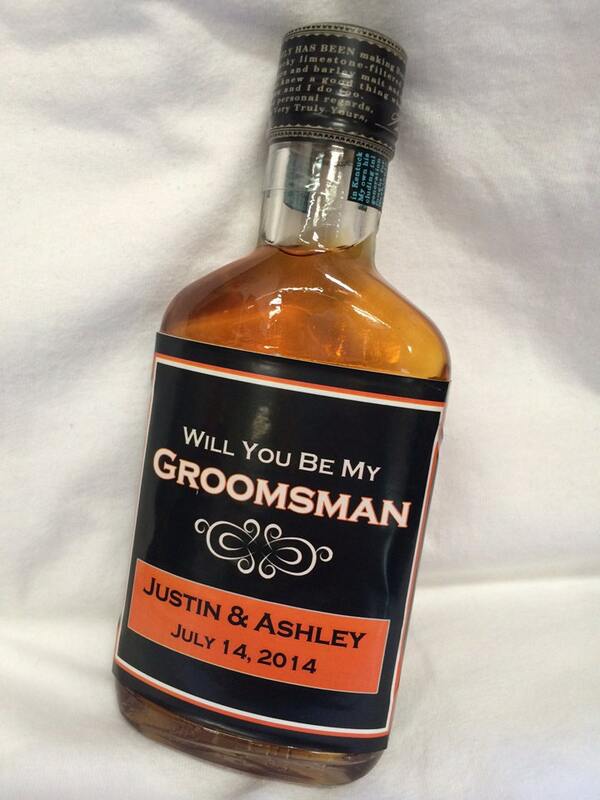 Also a great gift for your groomsmen to carry the cay of your wedding. These labels look great on 200ml liquor bottles.